3 Bedroom caravan set on a fun park dean Resort in Scotland. Located in Tummel Valley Resort, on a secluded part of the site. 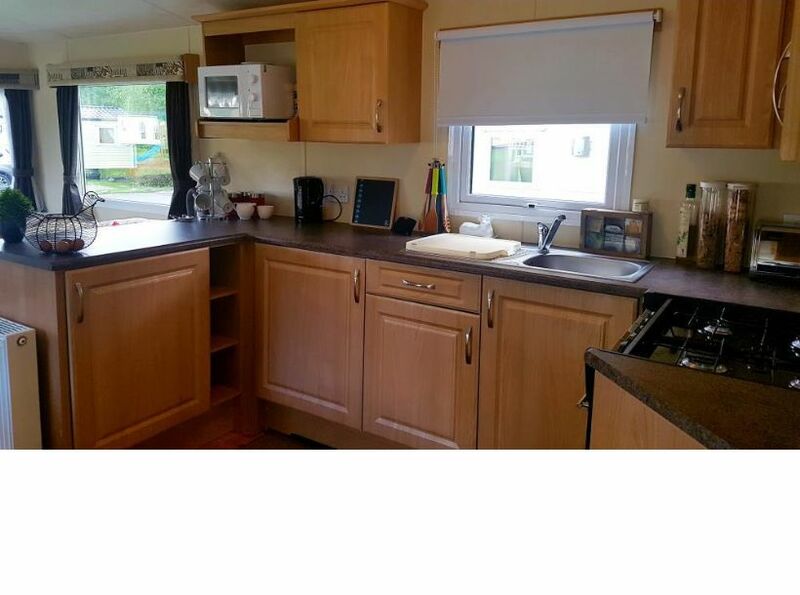 Privately owned extra wide 3 bedroom Heather caravan. Comes with large outside patio, sofa bed in lounge, sleeps upto 8 people and modern intergrated kitchen with separate fridge and full size freezer. Located in the popular resort Tummel Valley and situated in the more secluded part of the park. Great for kids and parents. There's a play park in the centre opposite caravan, making it easy to keep an eye on your little ones. Strictly no smoking.